The ‘Gateway to the Dales’ brings you Skipton’s famous Christmas Market, which is celebrating its 24th Anniversary this year. 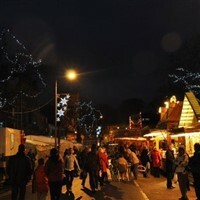 Join us for our AWARD WINNING annual Skipton Christmas Markets featuring over 100 market stalls. Two full days of festive entertainment for all the family!! Plus lots more.. all FREE ENTRY!